This Saturday, Real Madrid takes on Atletico Madrid at the Estadio da Luz in an attempt to clinch their historic tenth European Cup/Champions League crown, "La Decima". Real Madrid have a rich history of success in European competition, and their supporters around the world are confident that they will see their club lift the trophy once again this weekend. Since the great AC Milan side of the late '80s/early '90s, no club has repeated as champions though and that will continue this year. Last seasons winners, Bayern Munich, were knocked out in the Semi Finals by Real Madrid and it has now been 24 years since a club has retained the cup. Repeating in the Champions League appears to range from extremely difficult to impossible these days, with all of the massive clubs involved in the competition. But that wasn't always the case, as we look back at a few of the great sides who were able to retain "the cup with the big ears". 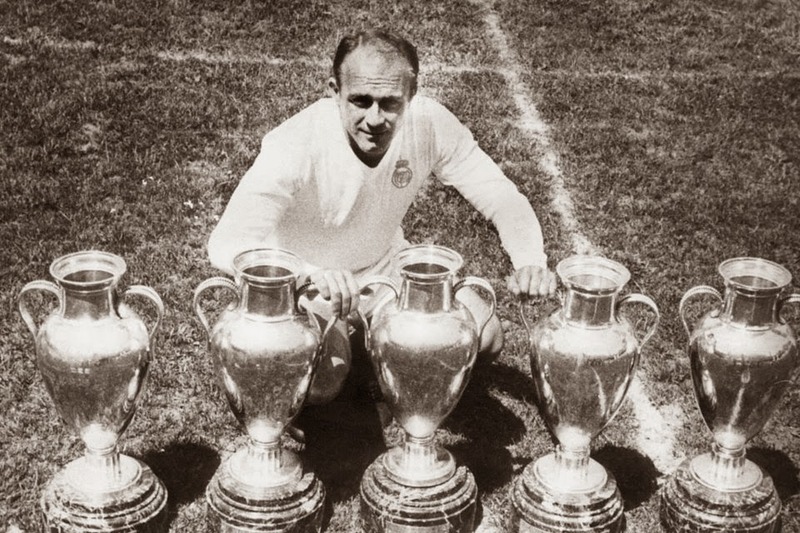 Led by the imperious Argentine, Alfredo Di Stefano, Los Blancos made the European Cup their own personal possession in the first five years of its existence. Seeing off Stade de Reims in the 1956 and 1959 finals, while defeating Italian sides Fiorentina in 1957 and AC Milan in 1958 respectively. Although the side contained talent all over the pitch, particularly in attack, everything went through Di Stefano. He was at the heart of nearly every attacking move, and often on the end of them as well. 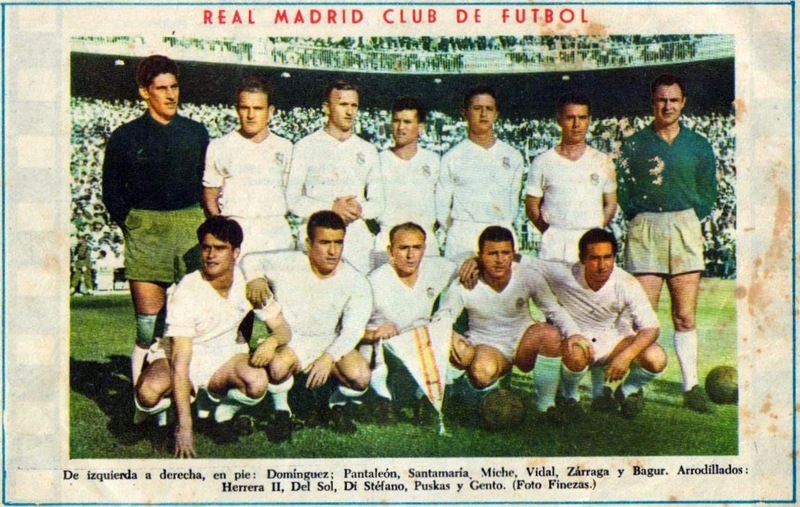 Heading into their fifth straight final at Hampden Park in Scotland, Madrid already containing stars like Luis Del Sol and Paco Gento, in addition to Di Stefano, had also added the Hungarian star Ferenc Puskas to their ranks. For the last of their run of five straight wins, in a match that every Glaswegian over the age of 60 claims to have been present at, Madrid hammered Eintracht Frankfurt 7-3. In that famous final, Di Stefano fired in a hat-trick, while Puskas found the net four times himself. The feats of this wonderful side will likely never be matched. In a golden age for Dutch Football, the Amsterdam club, led by the sublime Johan Cruyff, realized coach Rinus Michels vision of a fluid passing and possession-based game. Ajax's system encouraged individuals to express their individual skills, but move to cover the spaces vacated by teammates when they didn't have the ball. Ajax then went on to add a pressing element to their defending after losing in the European Cup Final to Milan in 1969 and formed the basis for their later success. Beating Panathinaikos 2-0 in the 1971 final, Ajax survived the loss of Michels to Barcelona, and went on to beat Internazionale in 1972 and Juventus in 1973. Playing some brilliant, attacking football this side of Cruyff, along with Johnny Rep, Johan Neekens, and Ruud Krol formed the core of the Netherlands team that came so close to winning the 1974 World Cup. The three year reign of Bayern Munich in the European Cup came to within twenty seconds of not happening at all. Trailing 1-0 to Atletico Madrid in extra-time in Brussels, Hans-Georg Schwarzenbeck let fly from over 25 yards out and found the net, forcing a replay. In the replay, two goals each from Uli Hoeness and Gerd Muller dispatched the Spanish club 4-0. The side, that had provided the core of the World Cup winning West German side of 1974, was marshalled at the back by the brilliant Franz Beckenbauer, with Muller providing the goals and Hoeness the pace. Bayern benefited greatly from being allowed to develop together domestically and internationally over the course of several years. Although not as aesthetically pleasing as the Real Madrid side of the 1950's or the Ajax side that immediately preceded them as European Cup winners, Bayern instead were built on brute strength, quick breaks and defensive organization. 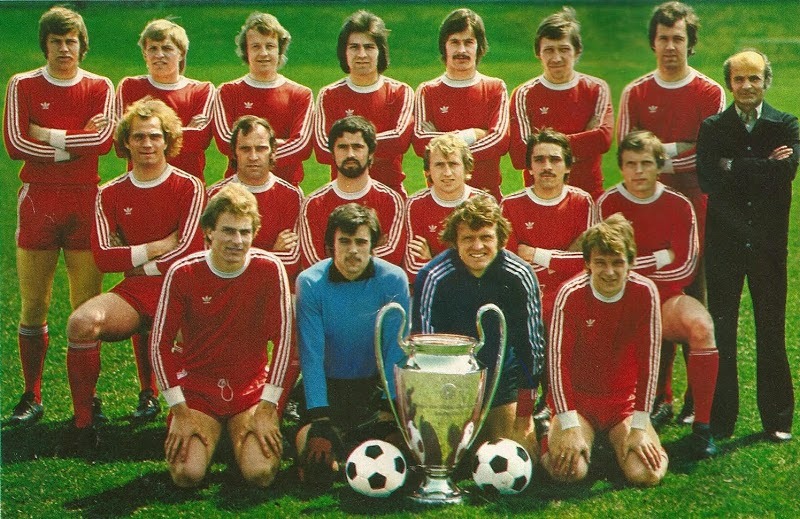 Beating Leeds United, under controversial circumstances due to some terrible refereeing, 2-0 in Paris and then seeing off Saint-Etienne 1-0 in Glasgow, Bayern emulated Ajax in winning three straight European Cups. The last side to win back to back European Cups, the Milan side, bankrolled by media mogul Silvio Berlusconi, had complemented a terrific core of Italian players including Franco Baresi, Roberto Donadoni and Paolo Maldini with the Dutch trio of Ruud Gullit, Marco Van Basten and Frank Rijkaard to form one of the greatest sides Serie A has ever seen. Under the management of Arrigo Sacchi, MIlan played a very un-Italian style during this period. Emphasizing a high tempo, pressing style, Milan were modelled more off of the Ajax sides of the 1970's, than the traditionally defensive Catenaccio style Italian teams. Sacchi encouraged his teams to set the tempo and this was evidenced by their 4-0 thrashing of Steaua Bucharest in the 1989 European Cup Final. Van Basten and Gullit both scoring two goals against a good Romanian side that contained Gheorghe Hagi and Dan Petrescu who would shine for Romania at the 1994 World Cup. 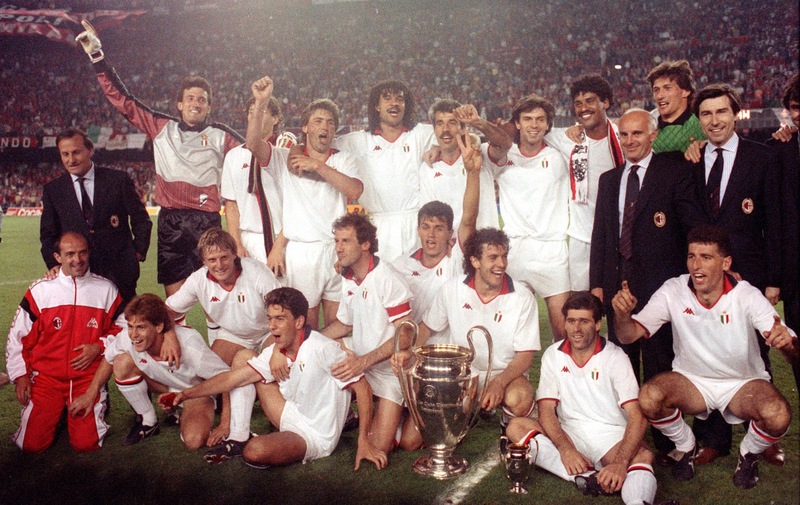 Milan then went on to retain the European Cup in 1989 with a 1-0 win over Benfica. Unfortunately, the relationship between the hard driving Sacchi and several of his star players broke down, leading to his sacking in 1991, but his Milan side are still the last club to successfully retain the greatest prize in European club football.